It looks like the other date works out great for some people, and not so great for others. I just hope we don't have to wait until almost the end of August for our next Hayley concert! There might be something eventually, but if not, in the meantime it'll give her more time to work on her new album. She did just do a tour recently, and she doesn't have any new songs yet, anyway (other than Christmas songs). Maybe by August, she'll have some new songs. I think that's a strong possibility. Just like Karsten I have already booked flights and hotels for my sister and me. Because we want to spend a 2-weeks-holiday in Ireland after the Buxton concert we had to hurry up booking the flights. Flights to Ireland are not expensive but flights to Manchester are when flying from Duesseldorf International. There are not many offers to Manchester from there and other airports doesn't work for us for various reasons. There hasn't been a confirmation from Bedlam so far but the concert was announced on Hayley's official website so a confirmation can only be a formality. 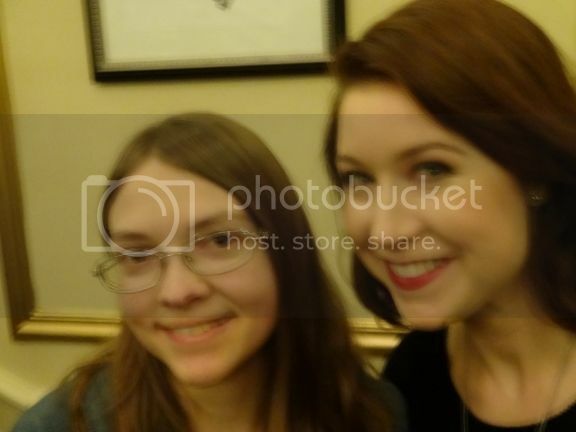 www.hayleywestenra.com is not any kind of fanpage it's her official website and it is absolutely inexcusable to announce concerts there that aren't confirmed. Maybe I should have known better to wait for a confirmation by Bedlam but even that isn't always a guarantee. I remember the cancelled concert in Llandudno in April 2008. That concert was confirmed by Bedlam for two months before it was cancelled!! When I first heard that the concert in June might not go ahead I was not amused to say it friendly. My sister intends not to go to any further concert of Hayley in case it will be postponed. I personally will reduce my journeys to a minimum. This hobby is too expensive to continue on a more or less regular base when there's no reliability on announcements from official sides. Not everyone of her fans know that it might be helpful to wait for a confirmation by Bedlam. What about her fans that don't know about Bedlam or even HWI? They rely on her official website and on the concert hall in case that tickets are on sale. It's not good for her reputation as a live performer when concerts are cancelled or postponed every now and then. If concerts are cancelled due to illness like during the RoD-tour it's absolutely understandable. Health always comes first! But the cancellation rate should not be raised by organisational misunderstandings. I've booked for 25 concerts so far but I've "only" been to 20!! That is a cancellation rate of 20%!! None of those cancellations were Hayley's fault! Bedlam is always very friendly and helpful and when they confirm a concert it will usually take place. But they don't seem to be the only ones who arrange concerts for Hayley and that's the problem. Who ruined the show in Llandudno 2008? Who ruined her NZ tour in 2009? Who announced Buxton for June and sold tickets without confirmation? Nothing of that is Hayley's fault but it will reflect badly on her! Poor Hayley! Anyway, if the concert will be postponed I will not go there even if I had time! You have my sympathy for sure. But you have to put it in perspective. I have had tickets for 15 Hayley concerts in my life, and only two have been cancelled. That's only 13.3% cancelleation rate, so I have done better than you. But of course, I don't have your travel expenses, or the need to commit early if the show is in the UK. But when you see her perform you would forgive her anything, even though as you say it is not her fault. Be thankful you don't live in New Zealand. Last year a whole promised tour was cancelled, well postponed, except it never happened. All they got was the one concert last month. BTW I don't count this as one of the two cancellations. This is just a postponement , not a cancellation. We still have something to look forward to, even if it is less convenient! It's true to say that we (HWI) never had confirmation from Bedlam Management of this concert but that doesn't mean that Bedlam didn't confirm it to the official website, they probably did. 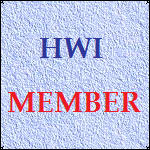 I decided not to seek confirmation directly for HWI at the time tickets went on sale as things were busy (for them and us) before Christmas and Steve Abbott was largely out of circulation for example, because of the personal matters you all know about. It seemed to make more sense to wait until a few more concerts or events were announced for 2010 and then seek confirmation of them all at that time. Even if we had sought confirmation in early December, I suspect that it would have been confirmed, because what is now being planned was probably not decided on by then. One of the main reasons why confirmed concerts get cancelled is, as you mentioned, illness (usually at very short notice), but another is that something "more important" arises, and the dates clash. The latter usually occur a long time before the concert date and in this case, the venue was warned, and it was mentioned here, nearly 5 months before the concert date; most people would consider that to be plenty of notice of cancellation (although as of now it's only 4 months). What we think is planned in its place is certainly very important, and will make it difficult (or impossible) for Hayley to make the original Buxton concert date. It is very unfortunate that you and other members who travel from other countries have to make travel and accommodation arrangements as much as 6 months in advance (in this case) because there is bound to be an increased risk of things changing, especially for fairly low-profile one-off events and concerts. That would apply to any public performer and it is also the reason why I myself rarely buy even concert tickets more than three months in advance of such events. Big events like the Classical BRITS or Festival of Remembrance, or a major confirmed concert tour, would almost certainly be safe to book a long time in advance, but not low profile events. I wish it wasn't so but sadly, booking travel and accommodation more than say 3 months beforehand for 'ordinary' concerts will always be a risky business, even if the event is officially confirmed. I'm sorry that it's caused you and some other members so many problems. Sorry to hear of your wasted financial outlay. Thomas I hope your Sister will see Hayley soon. I feel sure Hayley will be as sorry as anyone; even though as you say it is not down to her personally. but that doesn't mean that Bedlam didn't confirm it to the official website, they probably did. I'm not convinced! It wouldn't be the first time that the 'official' site has got it wrong - they're still showing Buxton on 5th June for heavens sake! More likely the venue "assumed" confirmation would be a formality and started selling tickets in advance of contracts being signed. That wouldn't be a first either! As far as the Llandudno concert planned for April 2008 is concerned, despite an indication from Roger that Bedlam had confirmed the concert, the venue never held that opinion. I was very keen to be at that one and pestered the box office at Venue Cymru on an almost daily basis - always being told that tickets would go on sale as soon as contracts had been signed. They never were. Although I am happy with the new date as it now means that I am now able to go I am very sorry to hear about your financial outlay because of the postponement. I had a ticket for an All Angels concert in Whitehaven before Christmas, it had been announced and confirmed by their management for months, however with around a month to go it was postponed and I lost the cost of the train tickets, and had to pay half of the hotel cost for cancelling, so although not on the same scale, I know how you feel, it is very frustrating. Unfortunatly these things can happen, though not very often. It is just very unfortunate and I hope that it doesn't spoil your enjoyment of the concert esperience and deter you from attending future concerts. When I think of "Buxton" I think of one of the branches of Hayley's family tree, so in a vague sense every concert she performs at this place is a homecoming. Also, Buxton Opera House is noted for its televised specials. Let's cross our fingers and hope this will be filmed and broadcast internationally, as others have had done. Sorry for being slightly out of topic again. I had the intention to write a few words like Thomas had done already when the (now probable) opportunity of a postponement will have arisen. That’s the one and only fact, regardless of the question who is or who isn’t answerable for this suboptimal proceeding. I’ve to admit it may be a risky business to book travel and accommodation more than three months beforehand for an 'ordinary' or even not ‘ordinary’ concert. I’d prefer not being forced to do so being able to spend three or four times more for refundable flights. And of course Hayley’s worldwide popularity doesn’t depend on the fact if or if not a few people can rely on the announcement regarding a concert. Getting to the core of the matter - I was looking forward to this first announced concert in Europe in 2010, I made my plans, I learnt that it will probably not take place on 5 June. (If so, it doesn’t make a big difference from my point of view if it’ll be cancelled or postponed.) That’s a pity and I’ve to cope with it - full stop. Be even more thankful you don't live in the United States. One song in two years! Ceterum censeo - No song for more than three years here in Germany. I'm not a member of Hayley's official forum, but I do look at it every day. I don't think I've seen any mention of the Buxton concert there, so perhaps somebody who is a member could say something about the postponement. Don't forget to include a link to this thread. Anyone that has a good seat for Buxton and can't make the August date let me know I think I may go. I'll buy the ticket. Glad in a way this has been cancelled has we have a holiday booked. We should be in scotland when this concert was going to be on. Should be able to speak to you all a bit more has I have stopped working to care for Wendy (the wife) has she has not been to good of late and is waiting a major operation..
To think she was only 5 when she went to her first concert. and enjoy the holiday in Scotland. Hope if a new date for Buxton will be announced, the three of you can make it to go !!! Sorry to hear that Wendy has not been so well, I hope that she wont be kept waiting for the operation too long and all goes well with it. Please wish Abigail a Happy Birthday from me. I have seen you all at a good number of concerts over the last few years but didn't realise that Abegail's first concert was quite that long ago . Anyway, hope to see you at Buxton in August all being well. I am so sorry to hear about the problems and expense that this concert has caused for you. You do seem to have been a little unlucky Thomas, in that quite a number of the concerts that you have decided to travel to the UK for have been cancelled or re-arranged for one reason or another over the last few years. As has been already said, I am sure that Hayley would not be at all happy that this had happened but it is of course not within her control. I hope to see you both again soon.